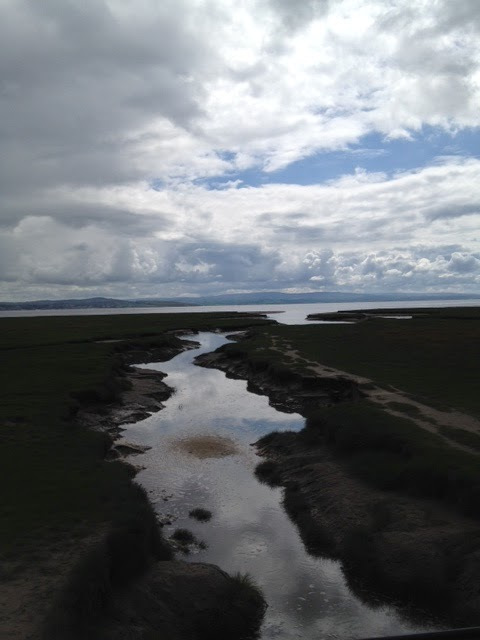 It was a grey Winter day, the kind that resonates with the eternally stretching mud sands of Morecambe Bay, on whose Northern reaches, and to the South of Lakeland, sits Grange-over-Sands. The wind cut you like a knife and seemed to be sweeping right off the dark sea. The Sunrise Cafe is slightly inland, at the far end of the little town, but even its usually sheltered terrace was chilled beyond endurance. I entered the cafe, mumbled my order through frozen lips, and waited, snug in the warmth, knowing what was to come. The large and steaming mug of happiness materialised before me, and I threw in a few of the tiny but complementary marshmallows that adorn the counter, before, looking like one facing death, I turned to begin my self-imposed ordeal. Clutching my coffee-to-stay, I passed a bemused Maria Angelo, who was serving an elderly couple at a table by the door, and went out of the cafe’s warm and chintzy interior to sit in the arctic. I picked as unobtrusive a seat as I could and sat down, pretending to look at the few shops. There’s not a lot see in this part of the town. I let my fingers absorb the warmth of the mug while it lasted, and tried to clear my mind in a long-practiced, but usually doomed, attempt at presence. “You not smoking,” said a gruff voice, from behind me. In my haste to sit and drink, I had not noticed the large figure in the corner. He also held, with fingers half-covered by partial woollen mittens, a hot mug, the steam rising to his corpulent face. He was a bull of a man, with shoulders nearly as wide as his body. Next to him, standing on the cold concrete of the cafe’s terrace, and looking quizzically at me, was a fox. My fingers clutched at the hot mug for mental security. The beast of a man smiled, cruelly, at my discomfort. “You not smoking,” he said again, as my mouth opened in mute response, and I contemplated the demise of my normally orderly Thursday morning. I coughed to provide some time to think. Was he threatening me? Some sort of psycho? “I don’t smoke,” I said in a flat tone, not particularly wanting to provoke, but defending my freedom to do what the hell I liked, even if it was odd. “Hah! He said, with a triumphant laughing snarl. “So why you out here, freezing nuts off?” He slapped his thigh as he spoke. I thought about his words and realised that he wasn’t English. Italian possibly, or Spanish? I sipped my coffee and tried to summon my James Bond face. I don’t really have one, but the idea can be reassuring, sometimes . . . I would try an assault of my own and frighten him off. “I’m doing a Gurdjieff exercise in presence,” I said. My antagonist thumped the table. Maria Angelo, passing by the door, interpreted this as him wanting something, and came to stand facing him. Grinning like a giant bear, he stared back at her. After a twenty second stand-off, she gave up on his silence, bent forward to re-arrange his cup and dripping coffee spoon, and left, slamming the cafe door on her way into the warm interior. “Pedro, think Gurdjieff rubbish!” said the beast, delighted with the turn of events. 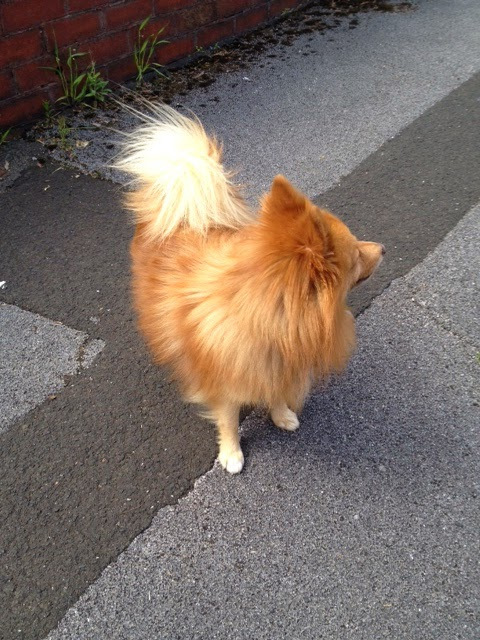 I was surprised at two things – that the fox, now revealed as a talking Pomeranian called Pedro, was so well educated; and, secondly, that my attempt to blind my opponent with intellect had so miserably failed. I sipped my coffee and stared at him in silence.